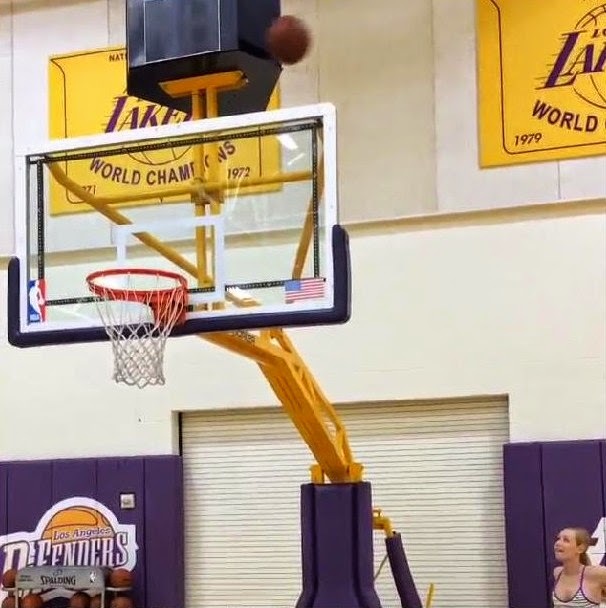 Okay, okay, so calling this trick shot by Iggy Azalea "pretty impressive" is probably a bit of a stretch. If you can shoot a basketball and you've got even just a little bit of patience, you can make this shot. But you're not Iggy Azalea. So if you do sink this trick shot, please don't send us a video of it. With that being said, watch the clip above to see Iggy make a trick shot for Nick Young. Anyone else find it strange that her and Swaggy P spend their time together in the Lakers practice facility?